Amazing views often come at a cost. 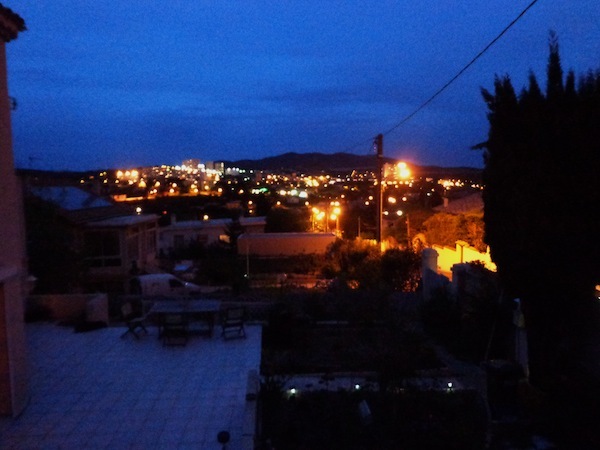 And the view from our free home exchange home in Provence was super-amazing. I could not stop staring at the terracotta hues, the pines and the blue sky. I checked the view from every window and kept running outside to look at it again. 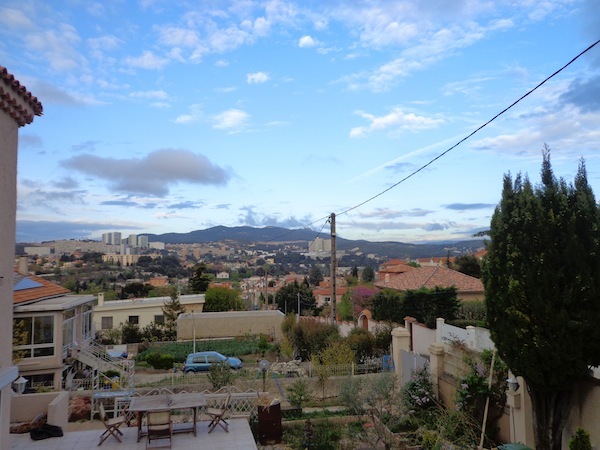 But these views, although they came with the free house (and I am such a fan of home exchanges), had a cost. The house was up a hill. A steep hill. 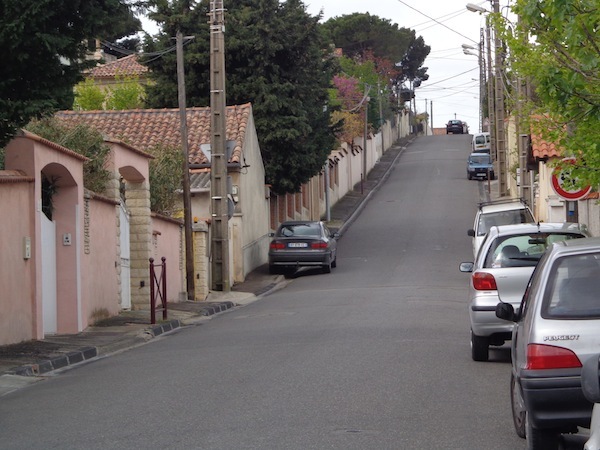 A steep hill with a very very narrow footpath, inaccessible in most places because cars were parked on the pavement. The view from halfway up the hill, from the point where I always had to stop and catch my breath. "My" house was second from the top. And then there were the drivers. Mad French drivers who sped up and down the hill in snappy little cars designed to speed up and down narrow windy hill roads. 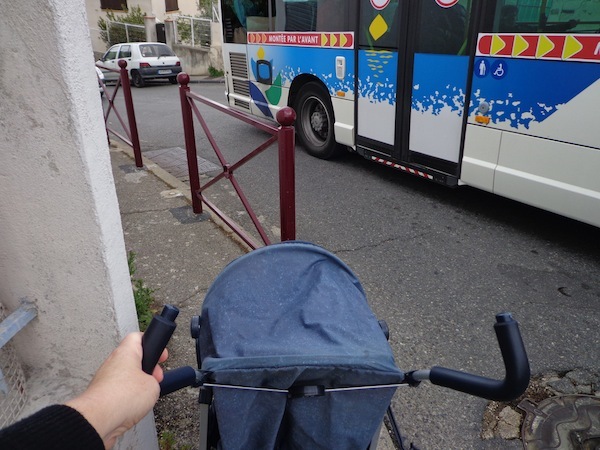 And mad French bus drivers who sped up and down the hill in huge buses not designed to speed up and down narrow windy hill roads. At the top of the hill, after a bit of a sit down, I’d lay out my French treasures. 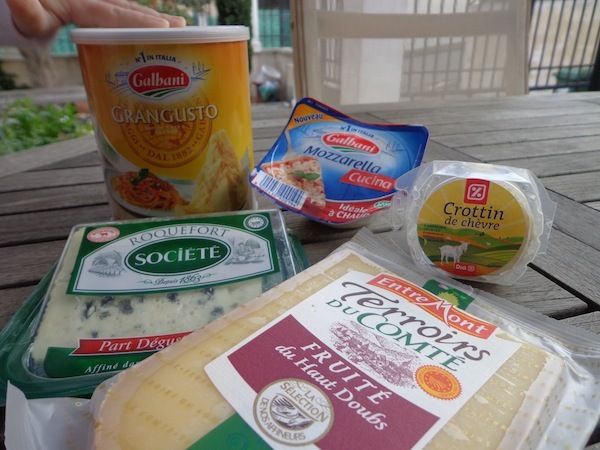 And then take photos of my haul and email them to cheese-loving friends stuck in Asia lamenting the dearth of nice cheese. I know, I know. I am just so horrible. But you know what they say. It’s lonely at the top. And it’s also lonely in a fab house in Provence at the top of the hill when your Darling Man is denied a visa. Drowing my sorrows in cheese seemed like the only sensible thing to do. Especially after burning off eight million calories pushing a baby up and down that damn hill. Get some wine to go with that cheese! Those of us who have been in Latin America for a while are jealous too. Sorry Stephanie. 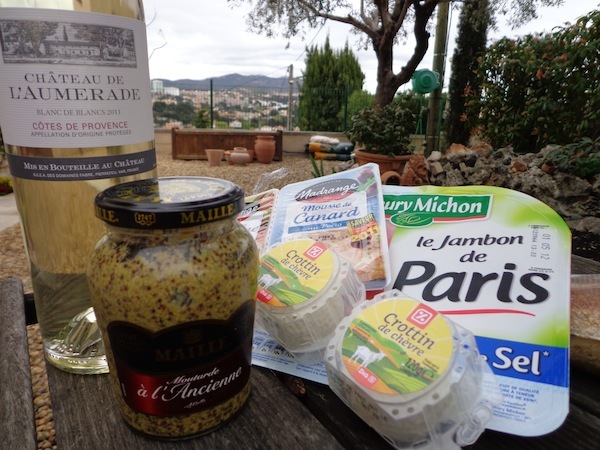 But I also have to confess to feeling a bit smug at making people on TWO continents jealous of my cheese adventures. Ah, France! I love that everyone greets you with a “bonjour,” but can’t imagine trying to speak while you’re out of breath! 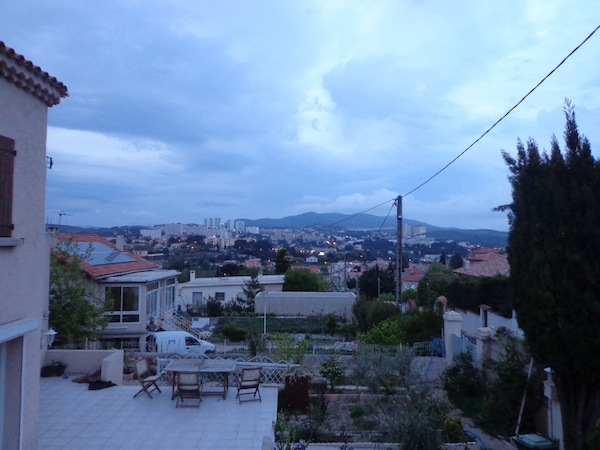 We are also here in Provence right now (as housesitters), eating a lot of baguettes, cheese, and rose. We’re out in the countryside and it feels like we’re living in an Impressionist painting! How long are you husbandless for? Seems a bit mean denying the visa! jan recently posted..There is something I have not done! I thought it was very mean, too. This post is on delayed broadcast, Jan. I was actually husbandless for six weeks. I would have loved to stay in Europe longer but I just missed him too much. Oh, you are MEAN. You could have at least put a warning in the title like: “This post contains gratuitous amounts of cheese.” Something! Gah! Mmm, I like the shot of all those French goodies! I haven’t had real cheese in months! What is up with that Korea? !